Microsoft fanboys and crotchety old coots like me howled in disbelief. After all, we had accumulated massive libraries of software applications, games, music and movies on optical media. What good is a new computer if I can’t put my ancient copy of Cubase on it? And what if I need to burn a music mix onto a CD to give to some chick in an effort to show her how cool and sensitive I am? And what if I need to burn an ISO of a cool program or DVD that I just pirated from the torrents? What about DVD backups of my prOn collection? Hmm? Is Apple crazy? Like usual, Apple was crazy like a fox. Go ahead. Live the life! In the intervening years, optical media started to disappear like like cupcakes in Adele’s pantry. Valve’s Steam download service became the go-to method of obtaining new games and in recent months they have started offering direct downloads of mainstream software applications as well. Netflix and other streaming services obviated the need to collect a bunch of plastic disks of your favorite movies and TV shows. Most folks download “apps” instead of full-fledged programs, and most major developers offer pay download services rather than disks. And music? Who buys CD’s any more? Your grampa? Media storage has never been cheaper. Terabyte drives, home-based NAS file servers and even cheap USB memory sticks serve the vast majority of people as viable back up systems. 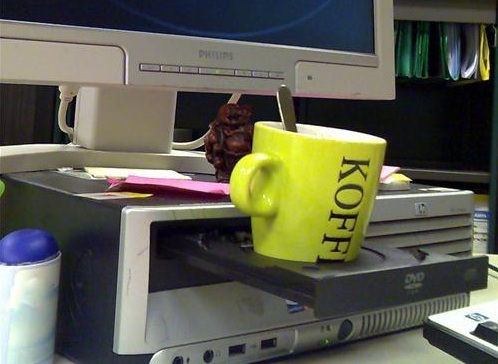 You can even back up your stuff to “the cloud”, if you trust corporations to be hands-off with your sensitive files. It seems Apple was right. Optical media is going the way of the floppy disk. But before we start digging its grave, we should consider the ramifications of our actions. Physical media comes in many forms. Before we go flying off into the Fantastic World of Tomorrow, we need to slow down and assess what we’re doing. Ever since Julius Caesar, Aurelian and the Christian Patriarchy took turns burning down the Library at Alexandria, we have to ask ourselves: how can we save our works for posterity? 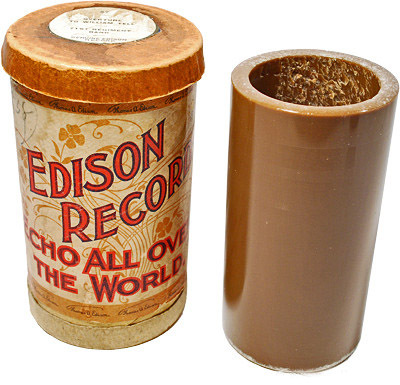 How many of Edison’s cylinders were ever converted to vinyl? How many vinyl masters and tapes were ever encoded to a CD? 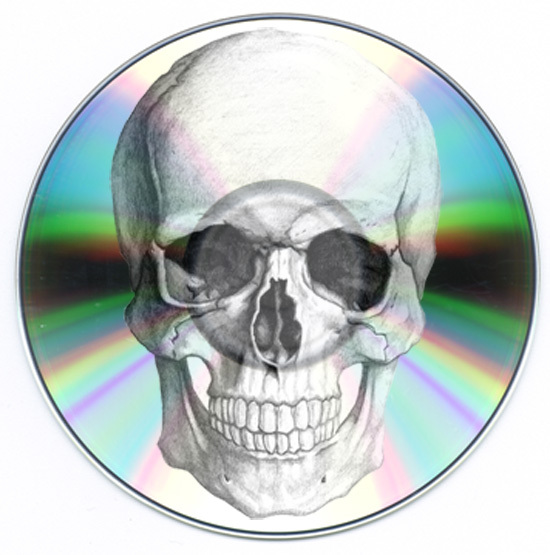 And how many CD’s have been ripped to MP3 or similar formats? How much music was lost forever in this endless process of media evolution? What have we lost? I submit to you the following: we have lost a lot. From early 20th century bluegrass to moldering silent films to wacky girlie magazines of the 1960’s, in our headlong rush for the new we are leaving behind the gemstones of civilization. This is all due to the vagaries of physical media. If we could digitize this stuff with the highest degree of granularity possible, future generations will merely have to perform the comparatively easy task of trans-coding to more modern formats. Errol Flynn’s first film “Murder at Monte Carlo” – gone forever. Wikipedia has a list of lost films. It is far from comprehensive. Only 10% of silent films and early talkies have survived. Of the golden age of film-making (1927-1950), about half are lost forever. Sure, some of those films were boring. But they all contain at least a grain of insight into the minds of the people that created them and the society that watched them. I’m sure a lot of the scrolls in the Library at Alexandria were pretty damn boring, but civilization is far poorer for their loss. The Library of Congress and similar organizations are making efforts to preserve as much of this stuff as they can. In fact, the next time somebody tells you that everything the government does is worthless and wasteful, do point them to the Library of Congress website. Then ask them to please continue droning on. Is it enough? No. Optical media is on its deathbed. It’s up to you, the hoarder of CD’s and unpopular DVD’s, to start a digital library of your stuff and start sharing it. That’s right: share it. The copyright nags are the enemy of civilization. For them, there is a dollar value on the scrolls at Alexandria. They insist that society and culture should move forward only at the pace that provides them maximum financial return. Disney is the enemy, not PirateBay. The Internet is much more than a series of tubes. It is the first ever repository of human knowledge which has an amazing aspect: the ability to reproduce perfectly, endlessly. But if it isn’t in there, it won’t be out there. To that end, I give you Rudy Vallee singing “My Song” from 1925. After all, he wanted you to hear his song! And so I must try something new. Writing a song all about you. My song won’t appeal to a lover of art. My song will reveal what I feel in my heart. It won’t have so much of Franz Schubert’s touch. And I can’t begin like Irving Berlin. My song, still you know what I’m striving to say. But you’ll find my heart in my song. But obviously, I’m only going to transfer the things that I really like. And, I would guess, this is exactly what people in the past have done.